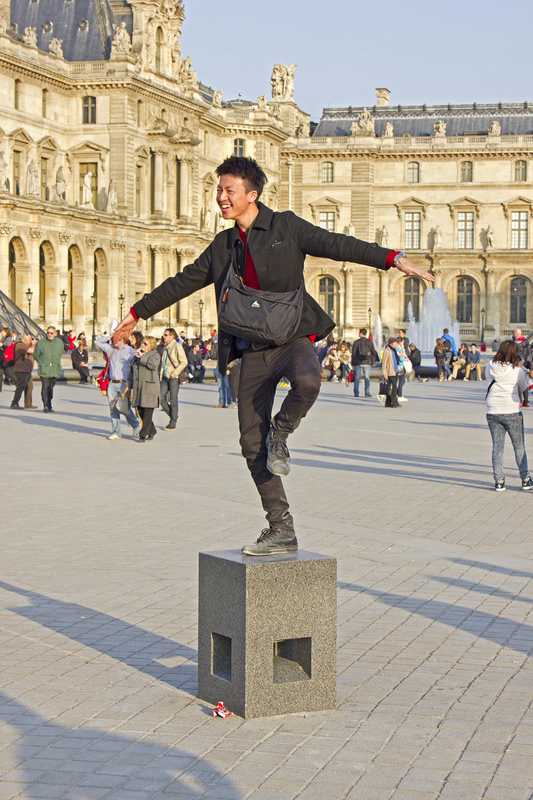 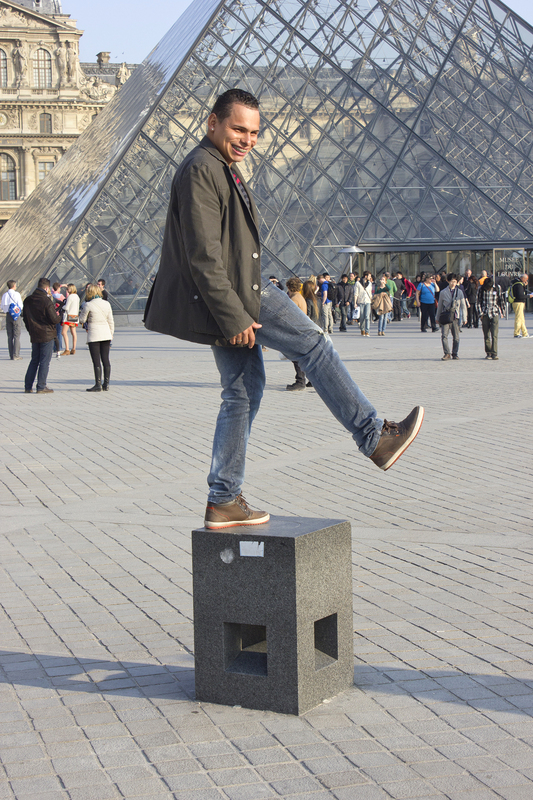 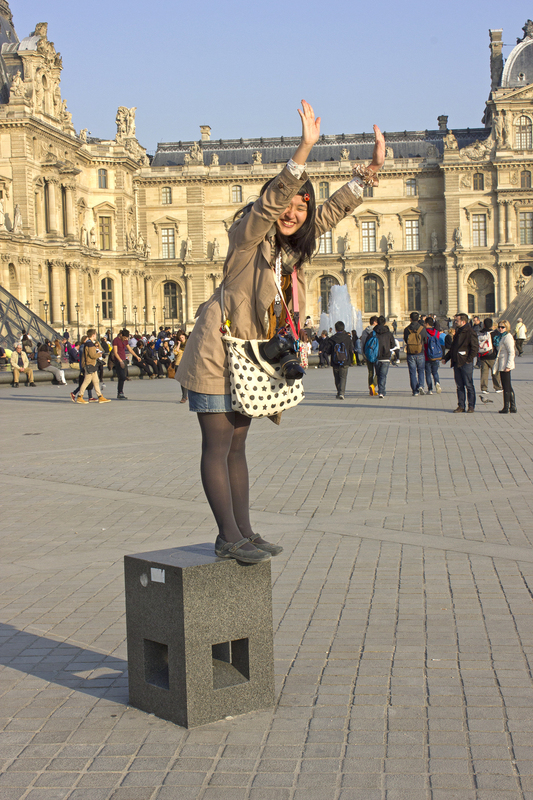 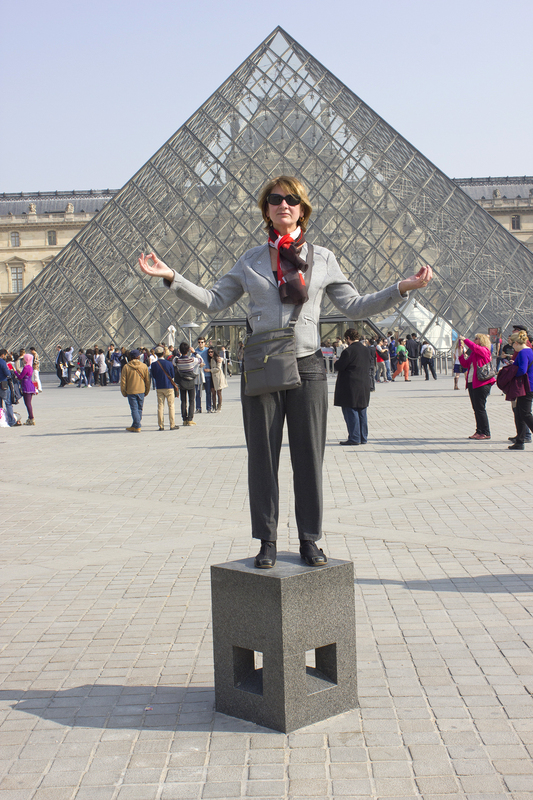 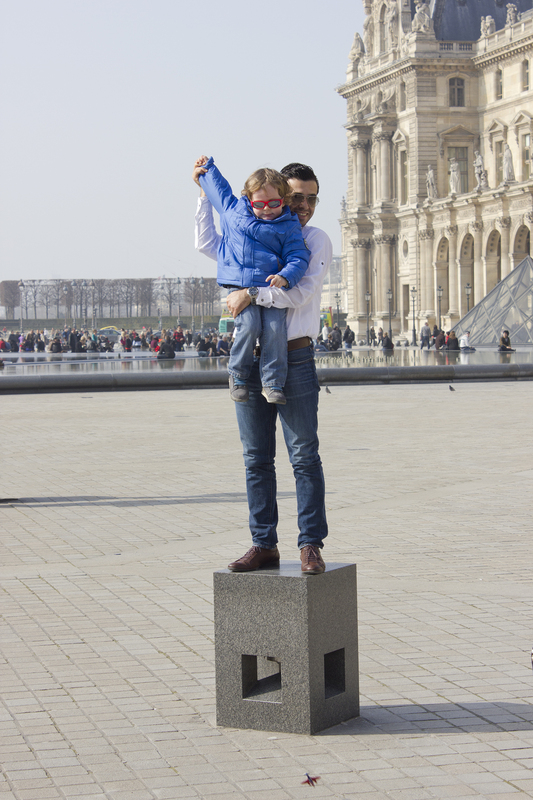 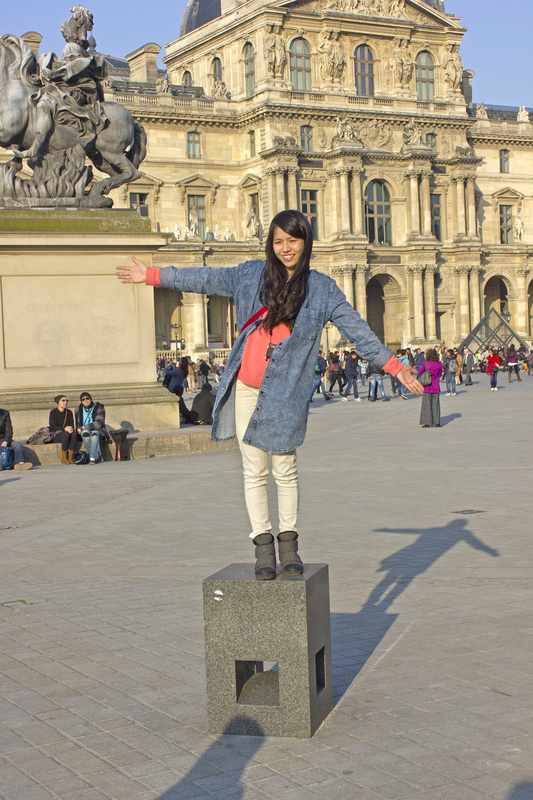 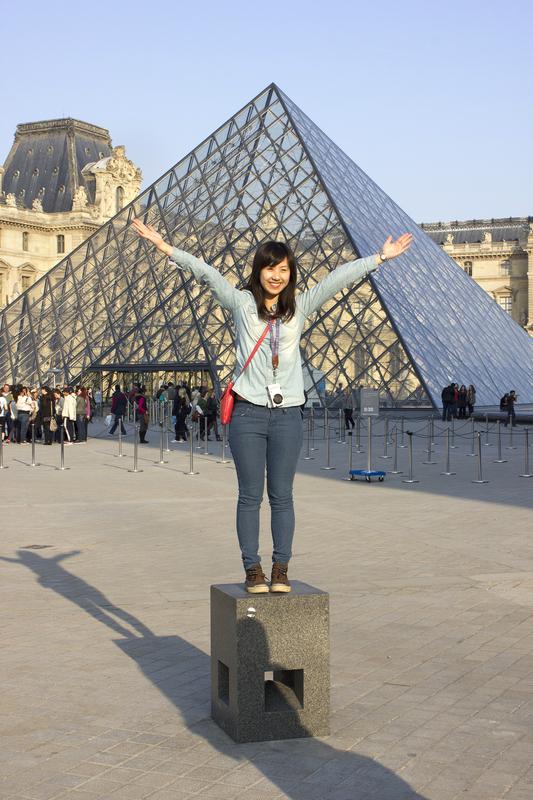 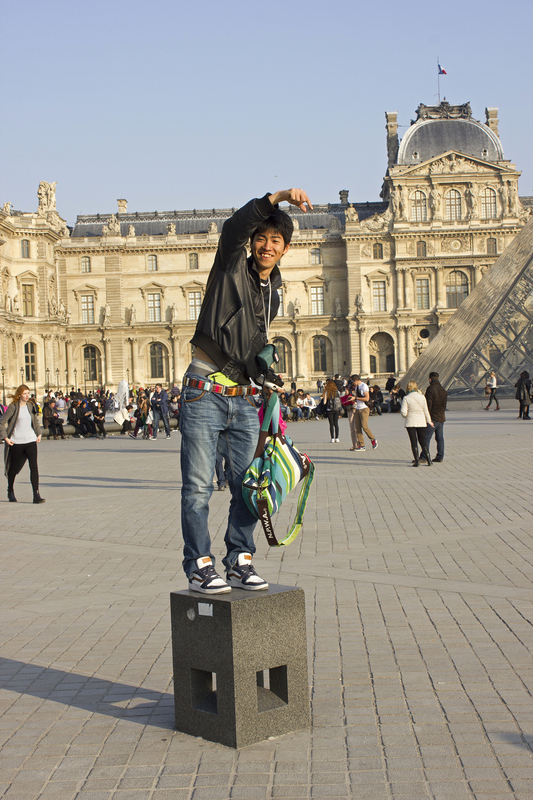 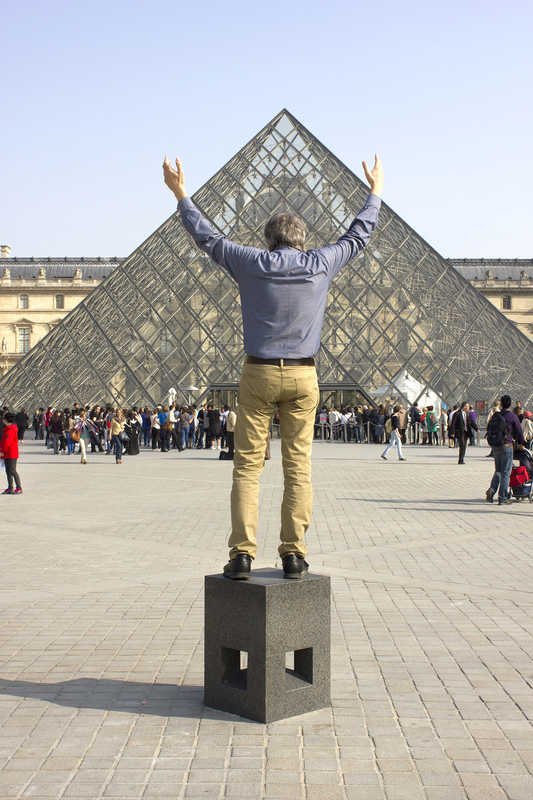 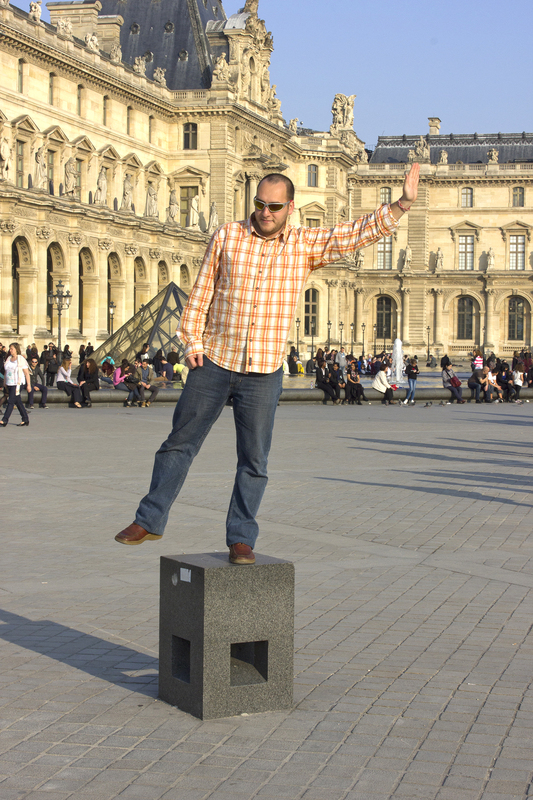 During several visits to the Louvre Museum, I noticed that visitors near the main entrance to the museum were standing on stone cuboid forms. 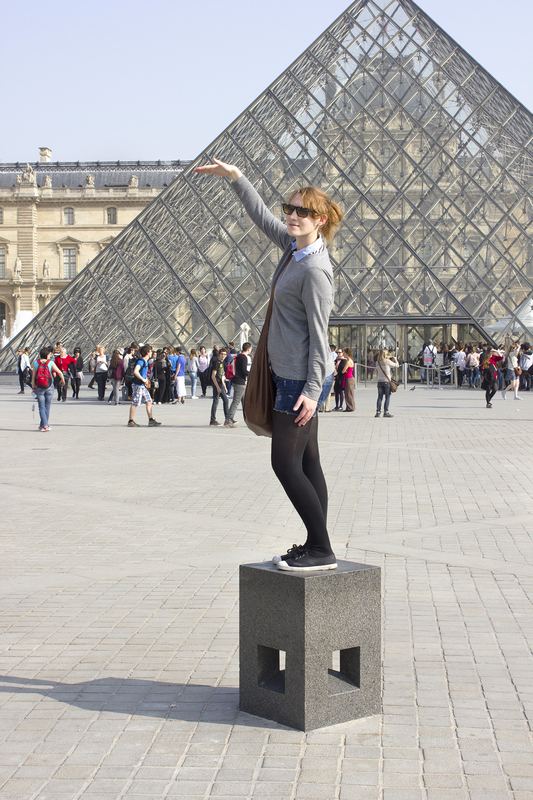 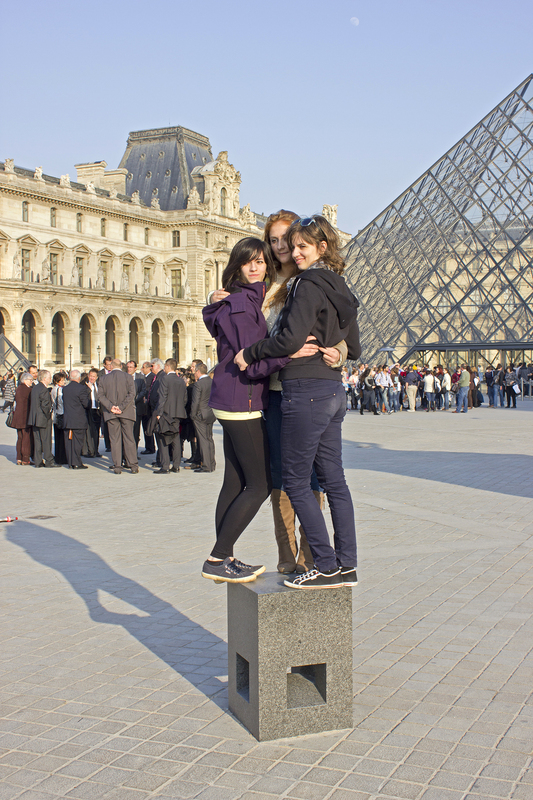 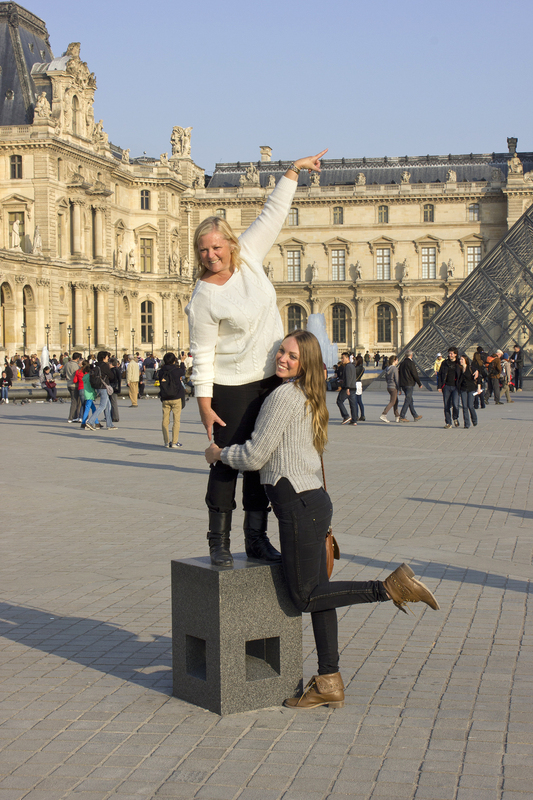 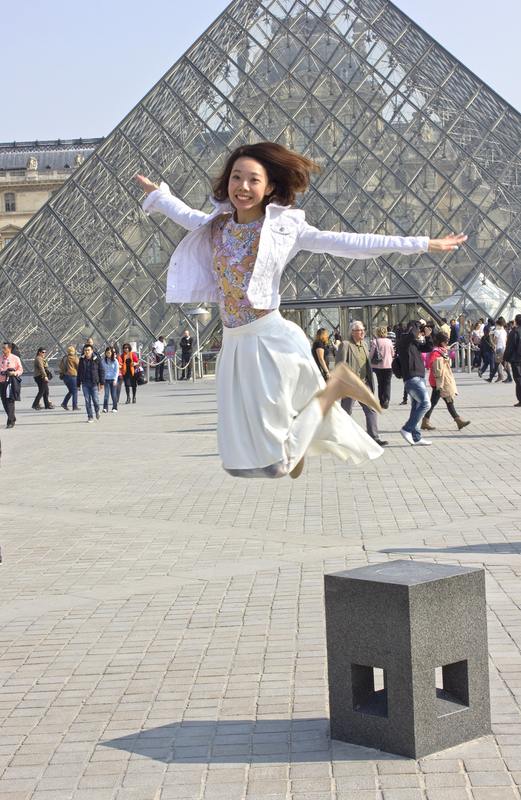 They were knowingly or subconsciously imitating sculpture on a pedestal while posing for photographs near the pyramid. 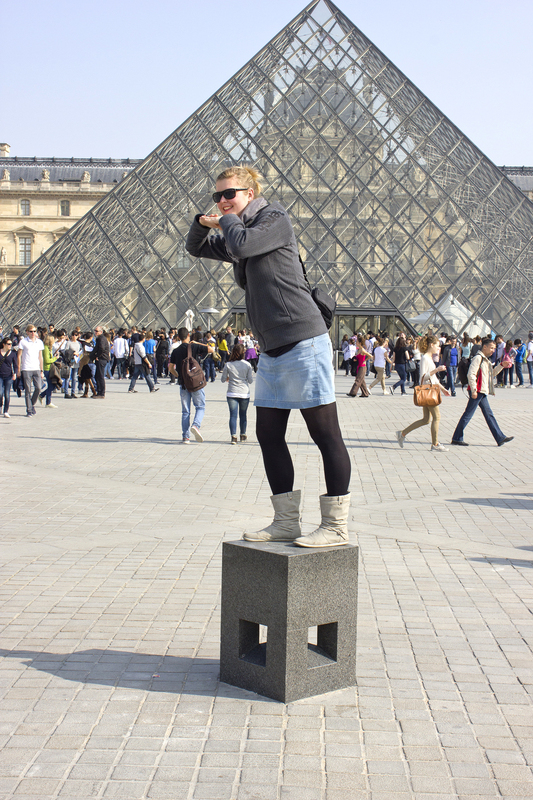 With these photographs, my interest is in the forms and the gestures of those posing. 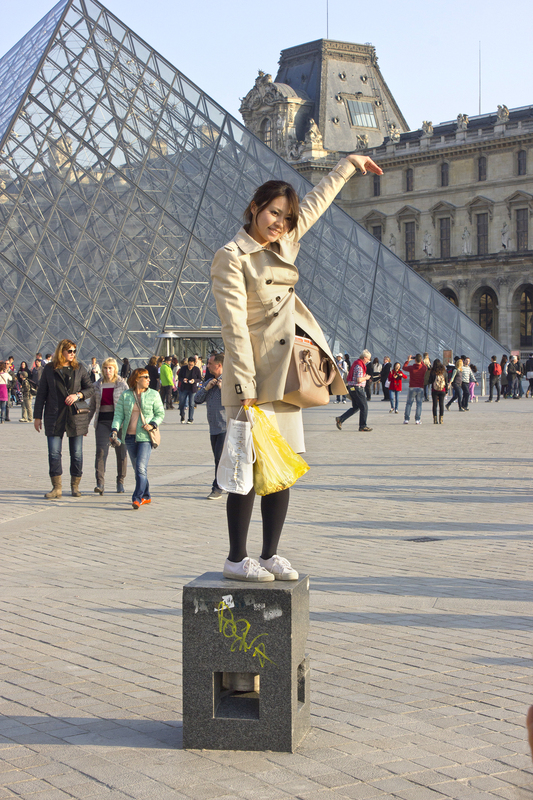 It is also interesting to see how each individual is different in how they act in front of a camera.